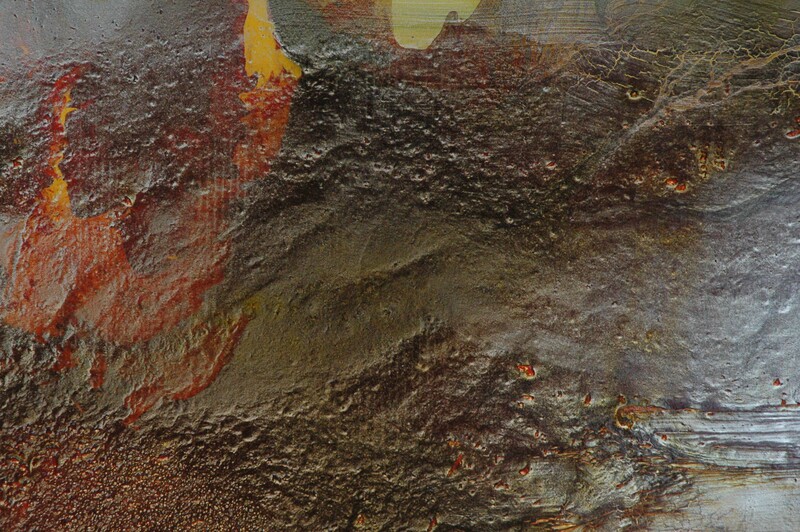 “Derek Hill’s work explores in a non – traditional way the extremes of traditional paint media. 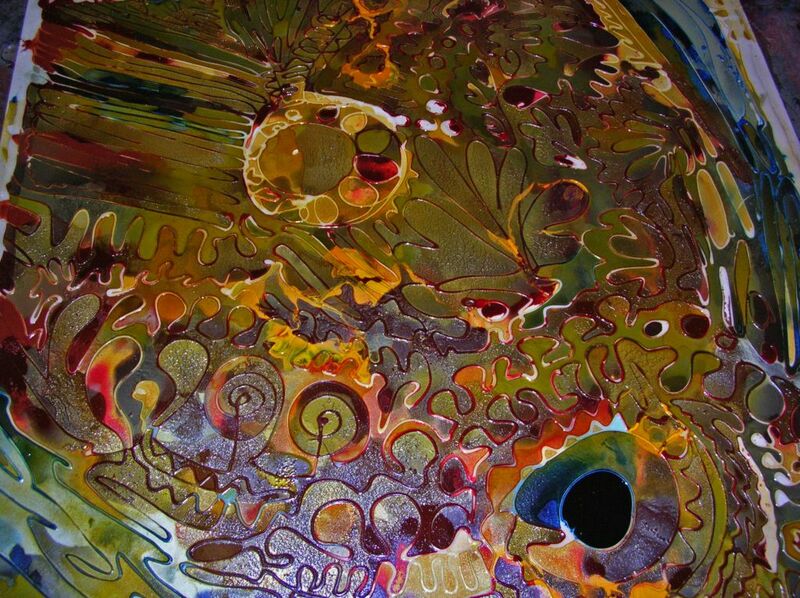 Hill’s surroundings and its use as a constant source of reference have led to the creation of cycles of techniques and processes that have given his work a continuous impetus (working on up to 10 canvases at a time), which can not be defined by any chronological order in conventional terms. Since 1996, this current phase of work (entitled; FLAW) is under construction. For Hill, the process is as important as the finished piece. 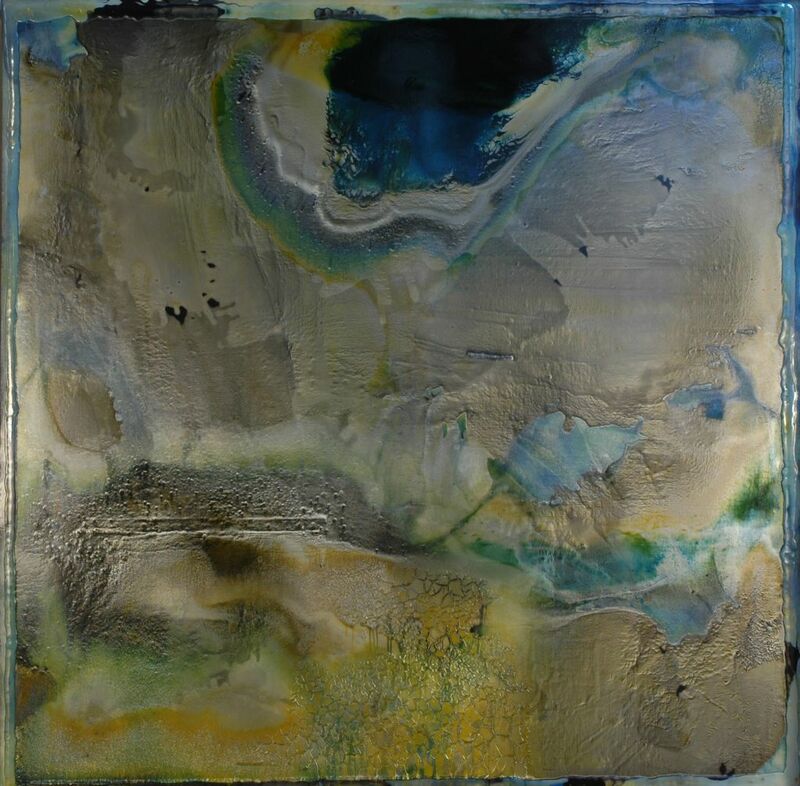 It has become a kind of ritual for him to prepare his canvases and mix his paint. 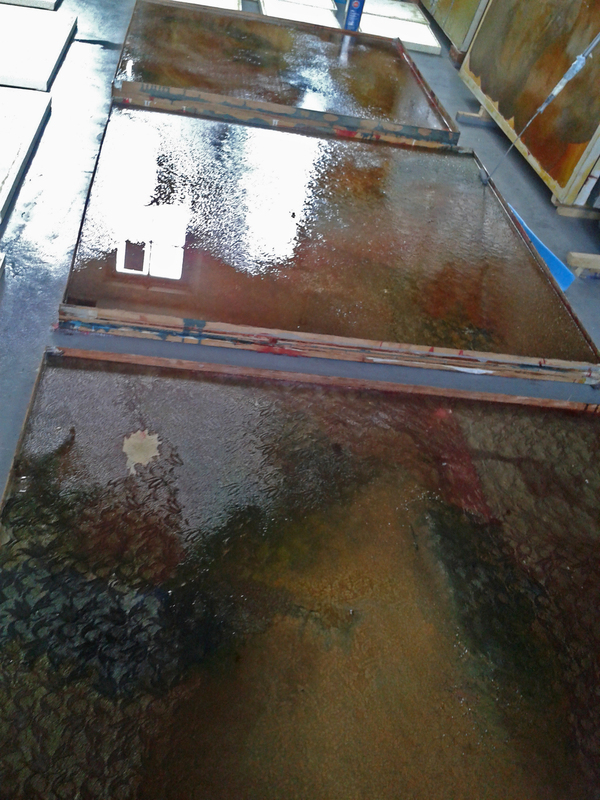 Canvases are prepared for the appearance of shallow baths on wood and board stretchers. 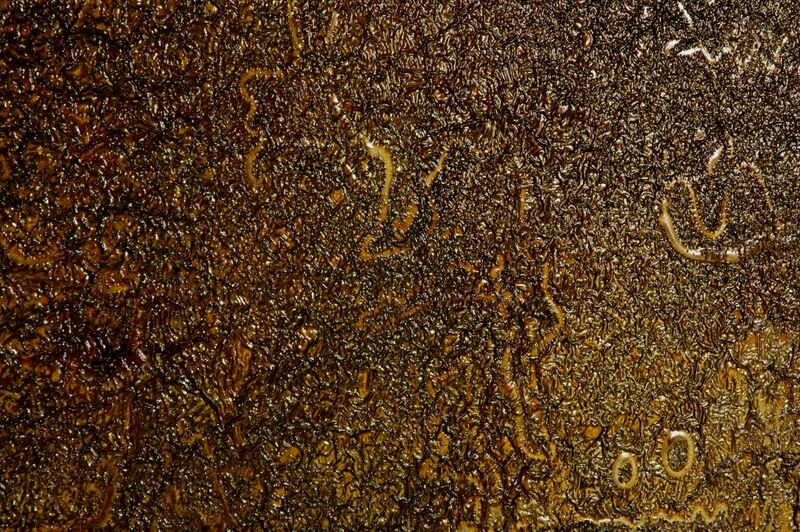 There are a variety of media; resins and glue; solvents; industrial paint and traditional oil paints. 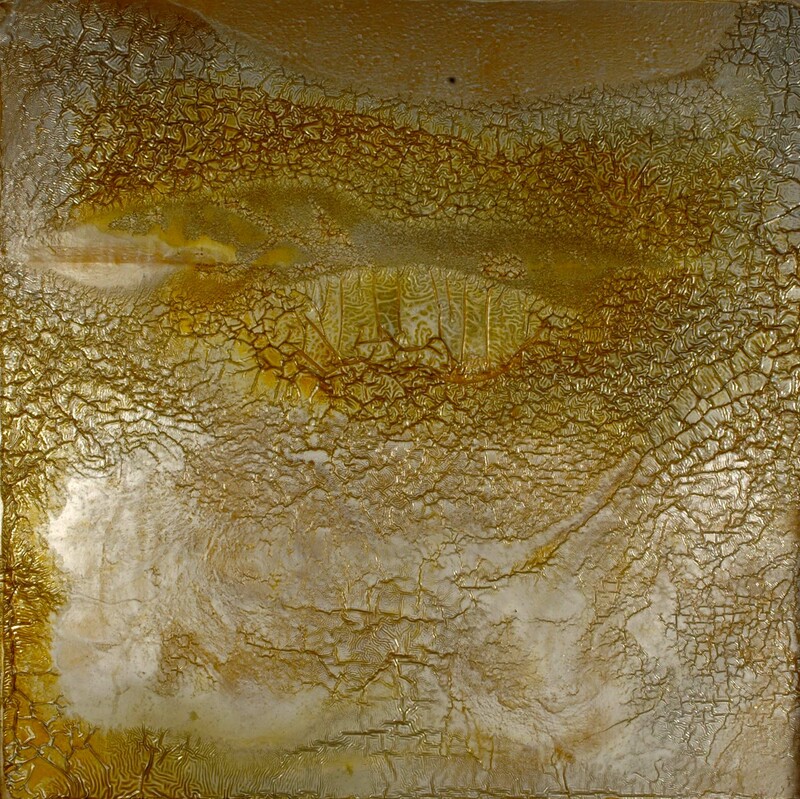 A multitude of media is mixed from; resins and glue; solvents; industrial paint as well as traditional oil paints. 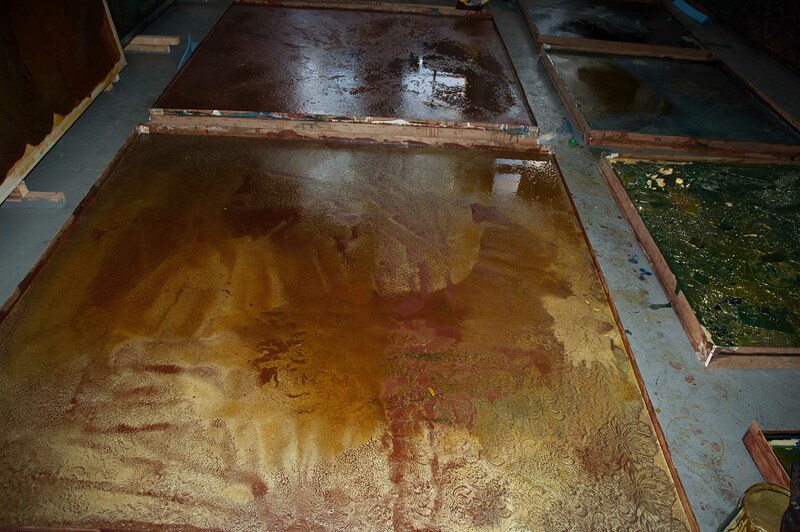 The media is applied over months by pouring the liquid mix into the surface of the canvases placed flat on the floor and onto them. 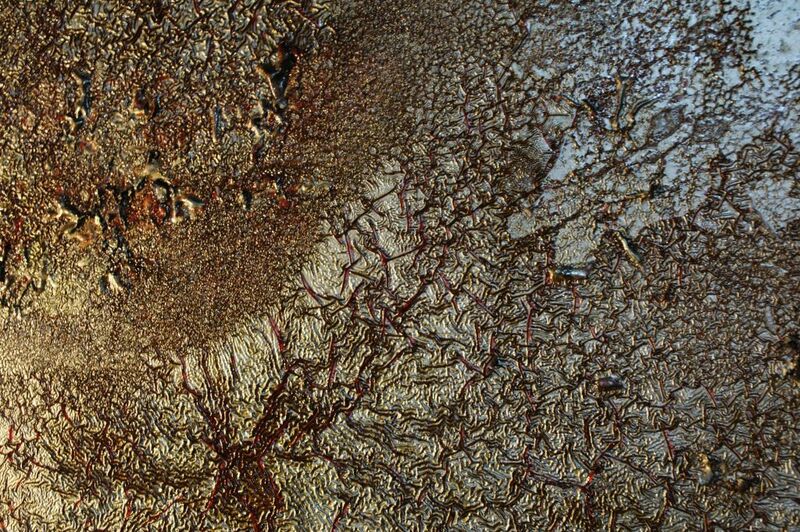 Hill’s passion is how different materials react and change as they dry slowly and critically over time, creating a juxtaposition of natural beauty and earthy industry.